A vintage brass monkey card holder. Beautiful rectangular distressed metal vessel. Measures and look may very a bit as these are hand made. 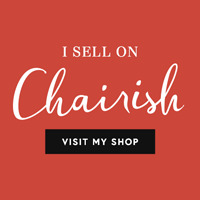 To purchase visit our Chairish Shop SOLD! No one coaster is the same. marbling and thickness vary.